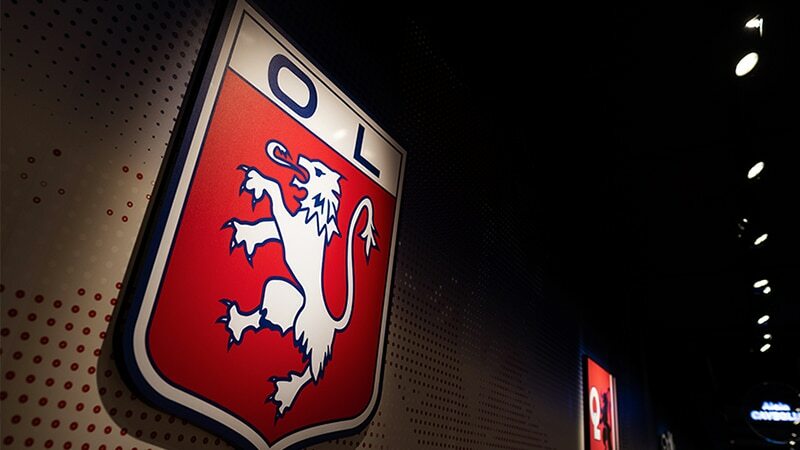 The strong bond between Lyon and football emerges inside the Olympique Lyonnais Museum, located in Groupama Stadium. 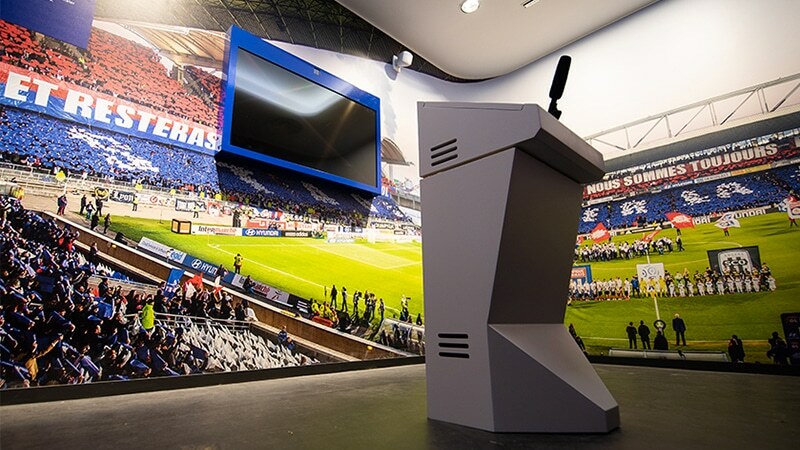 The Olympique Lyonnais Museum, officially named “OL Le Musée,” brings Lyon’s football heritage to life through an historical adventure inside the Groupama Stadium, home of the club in Décines-Charpieu. The Olympique Lyonnais represents the football scene in Lyon and “OL Le Musée,” the club’s museum, goes back in time to tell all the impactful stories that left a mark on the team’s history. Inaugurated on May 30th, 2018, the museum reviews the Olympique Lyonnais history since 1950, through interviews, anecdotes and vintage jerseys as well as interactive displays placed across the 1,300m2 museum. “OL Le Musée” tracks the Olympique Lyonnais down and extracts all the worthy club-related stories. The club’s historian, Stéphane Bénas, and his team of researchers partnered with designer Nathalie Crinière of Agence NC and local stage director Jean-Christophe Hembert to design the unique experience of going though the Olympique Lyonnais’s storied past. 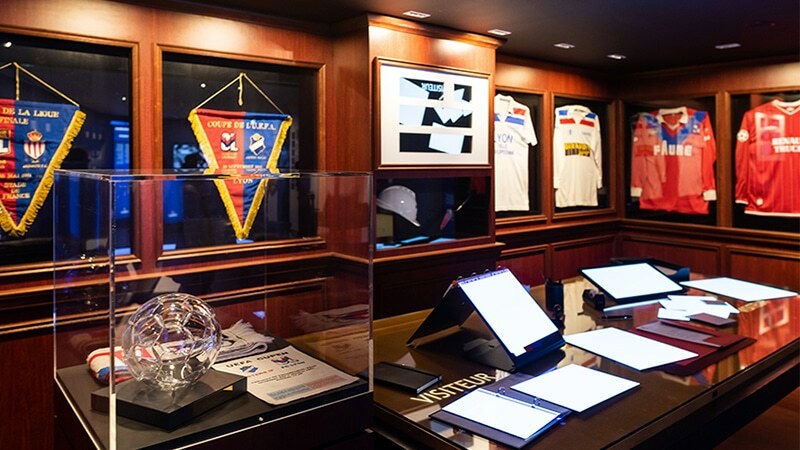 The team consulted thousands of written documents to grab all the worthy stories depicting the club’s heritage, implanted in the museum thanks to modern technologies and interactive displays. 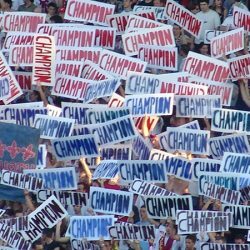 Audio and visual experiences are highlighted by hundreds of interviews with former players or characters that played a role in the Olympique Lyonnais history. “OL Le Musée” is entirely focused on the Olympique Lyonnais, the city’s football club and true institution of the sporting scene in Lyon. Nicknamed “OL” or “Les Gones” by football enthusiasts, the Olympique Lyonnais has become one of the best football clubs in France since the arrival of Jean-Michel Aulas in 1987. The men’s and women’s teams have conquered dozens of trophies and stand today as one of the most decorated clubs in French history. The pinnacle was reached between 2002 and 2008, when the men’s team established a record-breaking stretch of seven consecutive French Ligue 1 titles. The heritage of the Olympique Lyonnais goes hand in hand with the archrival football club of Saint-Etienne. Played twice a year, the heated “derby” between the two teams has written many passionate chapters of the club’s history. Inaugurated during the 2015-16 season in the east suburban city of Décines-Charpieu, the Groupama Stadium has become the new home of the Olympique Lyonnais and represents the future of the club. 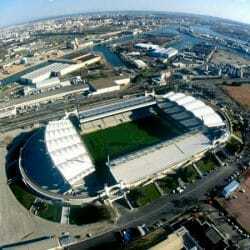 The 60,000-seat stadium replaces the Stade de Gerland, in which the OL played since its inception in 1950. The Olympique Lyonnais Museum has found its place close to the OL Store mezzanine, accessible through the stadium’s north entry. Its location in the Groupama Stadium is no coincidence, as Jean-Michel Aulas wished to link the past and present of the Olympique Lyonnais to the future of the club. Thurdays from 10 a.m. to 7 p.m. from July 11 to August 31, 2018. Shuttle tramways from the Part-Dieu train station or from the Vaulx-en-Velin La Soie metro station. Shuttle buses from park-and-ride stations in Eurexpo and Meyzieu Panettes.